Surprise, surprise! Did you know that scallops have livers? I didn't, but now I do! I don't take liver usually but decided to give it a shot and was even more surprised by how good it tasted when paired with the side of sesame oil. 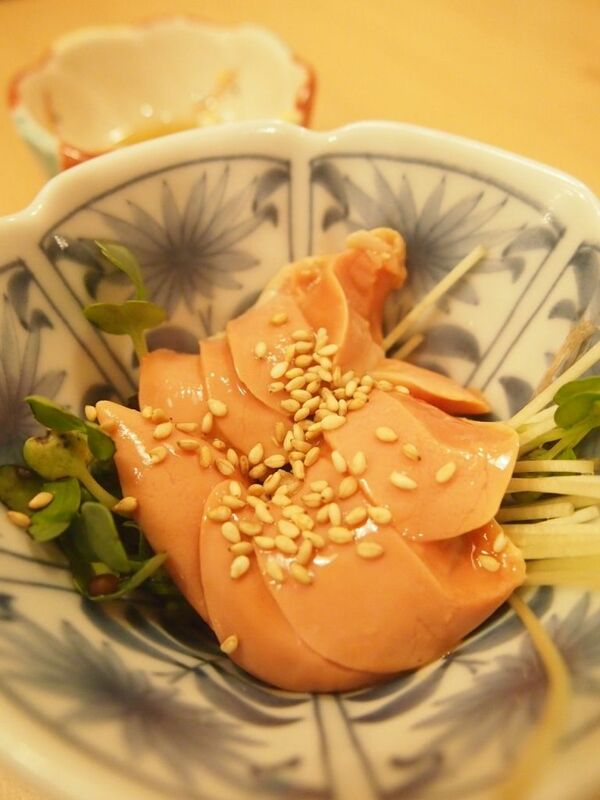 That strong characteristic taste of liver is more subtle in the scallop liver than it is in pig's liver. This was such a treat and I'll really recommend that you give it a shot! Potato is life. Potato everything, all day everyday. Just imagine my priceless face when this warm potato salad was served. 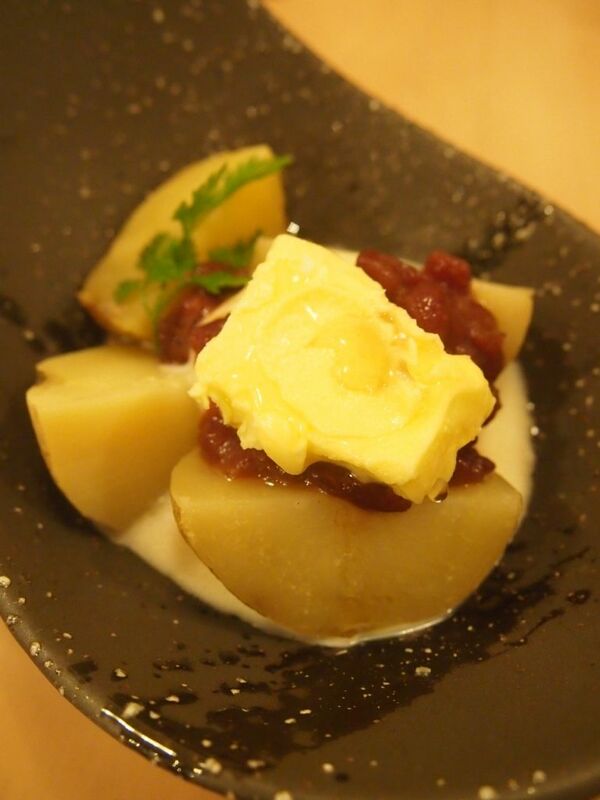 Warm Hokkaido potato mashed up and mixed in with Japanese mayonnaise? Two servings for breakfast, lunch and dinner please. A simple marinade was all it takes to bring out the full glory of the roast beef. 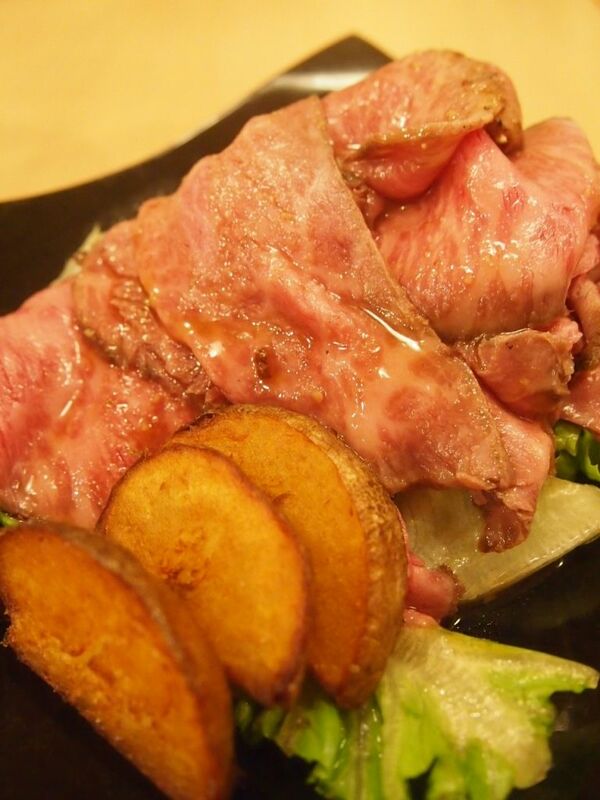 The beef was equipped with a noteworthy tenderness and springiness. Awesome overall mouthfeel and there's absolutely no reason to skip this. I was over-the-top excited when this arrived. 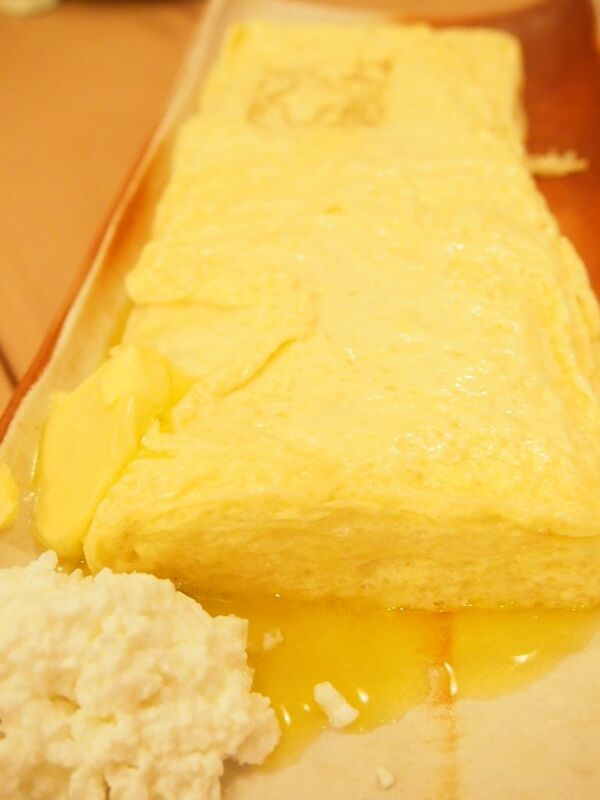 I watched the slab of butter slide off the smooth surface with eager eyes and watched the server spread the butter over and over the length of the omelette with even wider eyes. I couldn't wait to get my hands on it but I had to maintain my composure. And when I finally got a serving of it, I must say I was slightly disappointed. While the omelette had a great texture and a distinct milky taste that I adore, I felt that it could have been a little tastier. 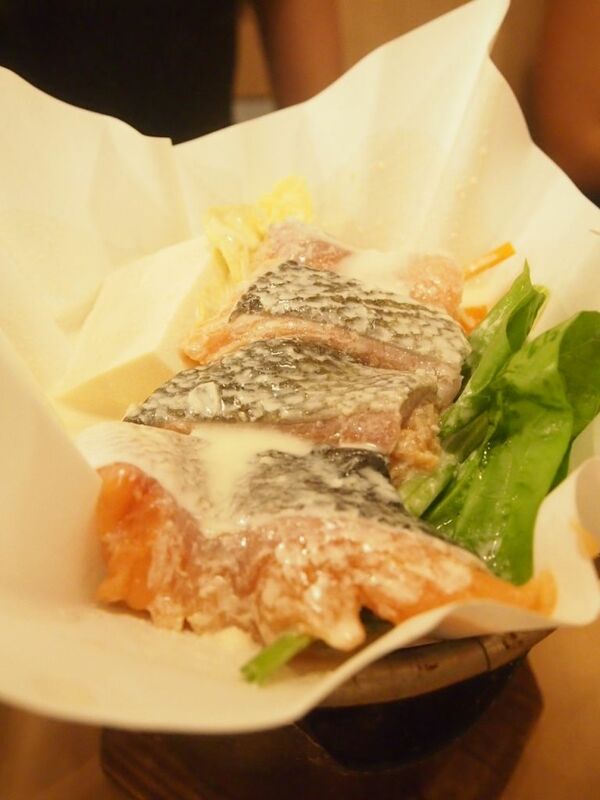 Nothing fancy, but Hokkaido Izakaya sure did a good job with it. 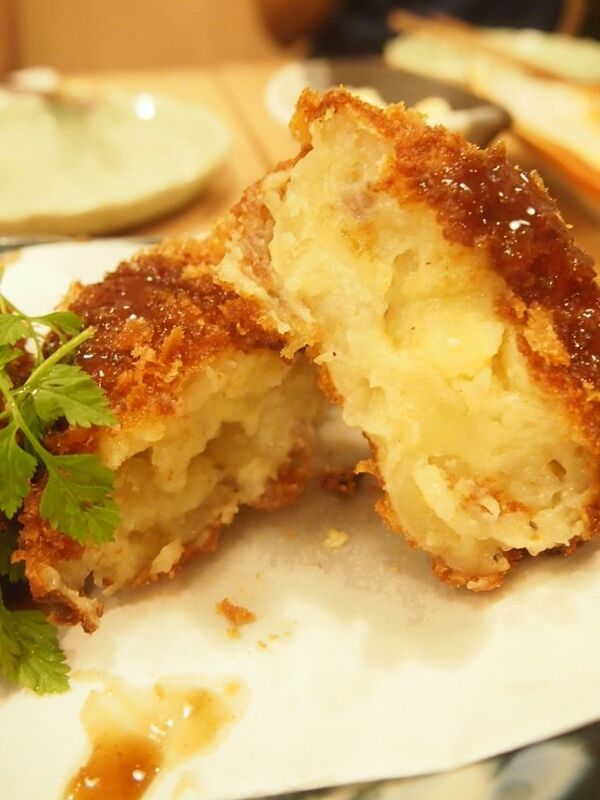 Encased within the thin crispy crust of the plump croquettes is a more than generous filling of smooth and creamy Hokkaido potato. I can't help but notice how good the potato tasted. Excellent texture and nothing like some of the dry croquettes I've had before. Simple, but good. 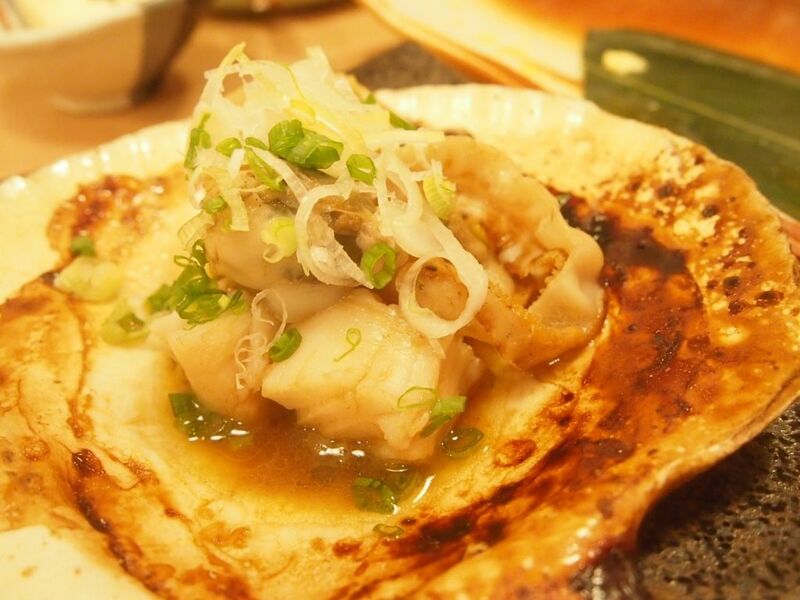 When people speak about food in Hokkaido, scallops are usually always a definite inclusion in the conversation. 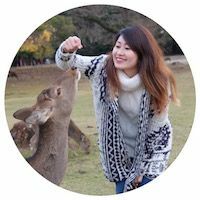 I've heard my uncle go on and on about how fresh and huge the scallops in Hokkaido are and I finally had a taste of fresh scallops from Yakumo Town in Hokkaido! The scallop was indeed sweet, firm and juicy, much like what I've heard. Over here, the buttery nature of the scallop was accentuated with a small pat of butter. So delicious, we had a second serving! 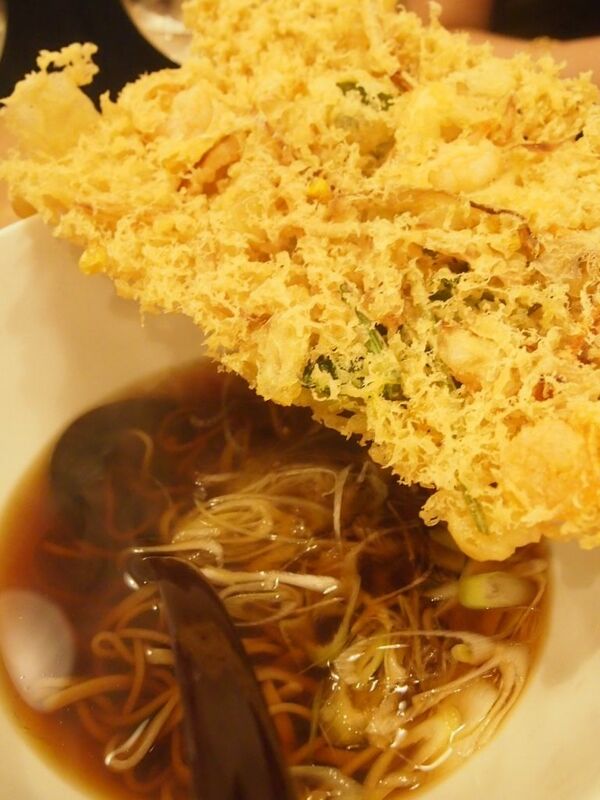 The tempura seemed to have been exposed to air a tad too long, resulting in a softer than expected crunch. Served warm, this is a comforting dish to savour on cold evenings and it makes a great lunch option too. 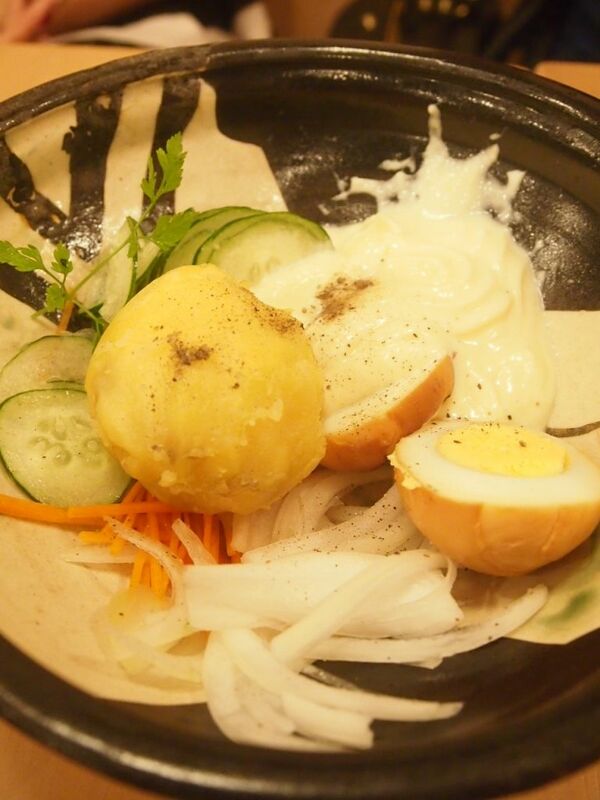 This might not be what you'll expect of a dessert as it is a potato dish but the combination of warm potato and icecream is really delightful! 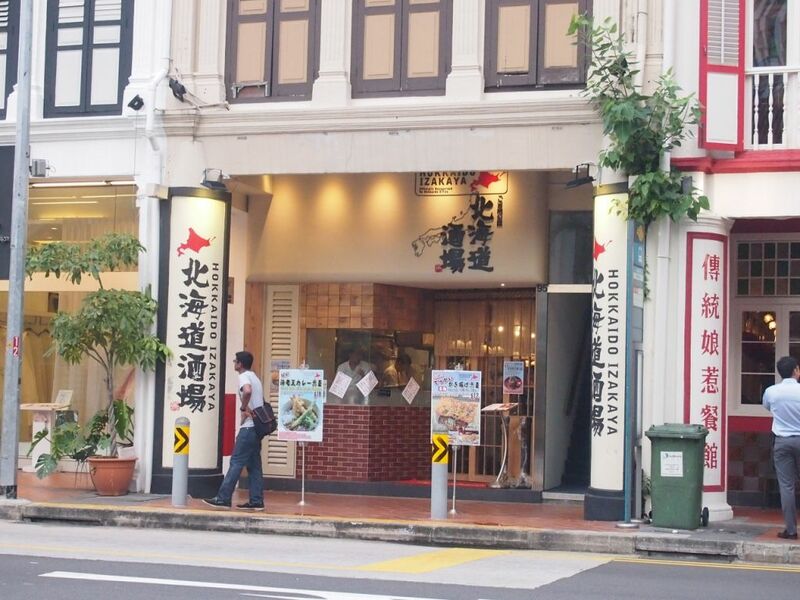 Hokkaido Izakaya has been consistently fully booked even before their grand opening day. This says alot about them, doesn't it? 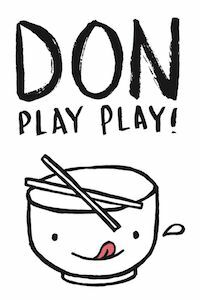 Diners can look forward to good food, fun vibes, attentive service and lotsa sake and beer here!